One of the scariest feelings is driving along in your vehicle in Burke, VA and going to step down on the brake pedal and feeling it go all the way down to the floorboard. NO BRAKES! What are some of the reasons brake failure occurs that will require brake repair? The most likely reason for brake failure in Burke, VA is the loss of fluid pressure in your brake system. Brakes use hydraulic pressure, so if there is a fluid leak in the brake line, brake hose, wheel cylinder or caliper, there might not be enough fluid pressure in the lines to apply the brakes. Regular use will cause the level to drop in time. Low brake fluid can cause your brakes to feel spongy. This is a serious problem in Burke, VA and not one to be overlooked. You will need to fill the reservoir back up with brake fluid or risk the danger of brake failure. Repeated friction generated by the use of your brake pedal can actually cause your brakes to overheat and not work properly or maybe not at all. Usually, once they cool down, they should be fine. Brake pads also wear over time, so when this happens to avoid brake failure, you will need your brakes repaired, usually just a brake pad replacement. Other brake system parts besides your brake pads could cause brake failure requiring some type of brake repairs. The rotors, calipers, drums (in some cars) and brake lines can fail quickly. 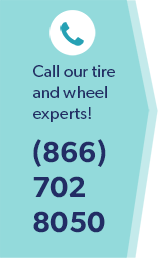 Whenever you notice anything different about the way your vehicle stops, hearing squealing or grinding noises, feeling your vehicle pulling to one side or the other when you apply your brakes, these are all signs that you need to take you vehicle to a Burke, VA automotive technician to have your brakes repaired. Brakes are one of the most repeatedly used parts of an automobile and one that you depend on the most, other than having your vehicle, as a whole, start and get you where you want to go. Don’t put off necessary brake repairs and risk brake failure. Call us at Wiygul Automotive Clinic located in Burke, VA and we would glad to set up an appointment for one of our qualified automotive technicians to make the necessary brake repairs to your vehicle. We want you to have a safe and dependable ride.